I made this during the winter when carrots are commonly available in plenty. I was delighted to try out this simple recipe for Gajar ka Achar (Carrot Pickle) mainly because it was quick to make and didn't call for the use of oil. 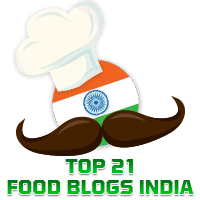 When searching the web for pointers for an easy to make pickle, I came across Foodie's Hope which had a selection of recipes from Haryanvi cuisine. I was tempted to try it as I had fresh carrots ready. The pickle was delicious. Sure, it won't last more than 4-5 days but we'll finish it off well before then. Dry roast the mustard seeds, fenugreek seeds, dry red chillies. Transfer to small jar of the blender and pulse to a coarse powder. This forms the masala for the pickle. Keep aside. Next mix in the lemon juice. Adjust the spices and salt. Keep in the refrigerator and use immediately.